This drink is a long time coming. This time four years ago, I was studying abroad in Scotland with three friends from my university. The pub we frequented most often was an old converted church (I know, it sounds terrible, but it was a great way to preserve the historic buildings!) and I got this drink only one time, but it made a lasting impression. They named it Tokyo Sling, inspired by the Japanese melon flavor of the Midori, so I guess I’ll call it that as well. It was served in a fishbowl, and two or more people were required to share it. I haven’t had it since! The establishment has since come under new management, and they don’t serve this drink anymore (and their new menu looks KILLER, Thomas!). 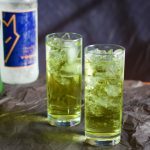 But the year after I had been there, I asked the next person there to go and find out what was in the drink, because I couldn’t remember anything except Midori and Sprite! She said they didn’t make it anymore, but a bartender there knew it and told her the ingredients. Mimi is the real MVP, for asking them! Then, it just came down to me trying a few different combinations to get a great mix down. Local Spotlight: Prairie Wolf Spirits hooked me up with all of their product line! I became a fan a few years ago when I spotted their vodka at a local liquor store. I purchased it to use for the homemade vanilla extract recipe (and of course, sampled it before it became vanilla). They are out of Guthrie, and currently make four products: vodka, coffee liqueur, whiskey and gin. I think they’re the only Oklahoma distillery, and they’re doing great work, so be sure to check them out! 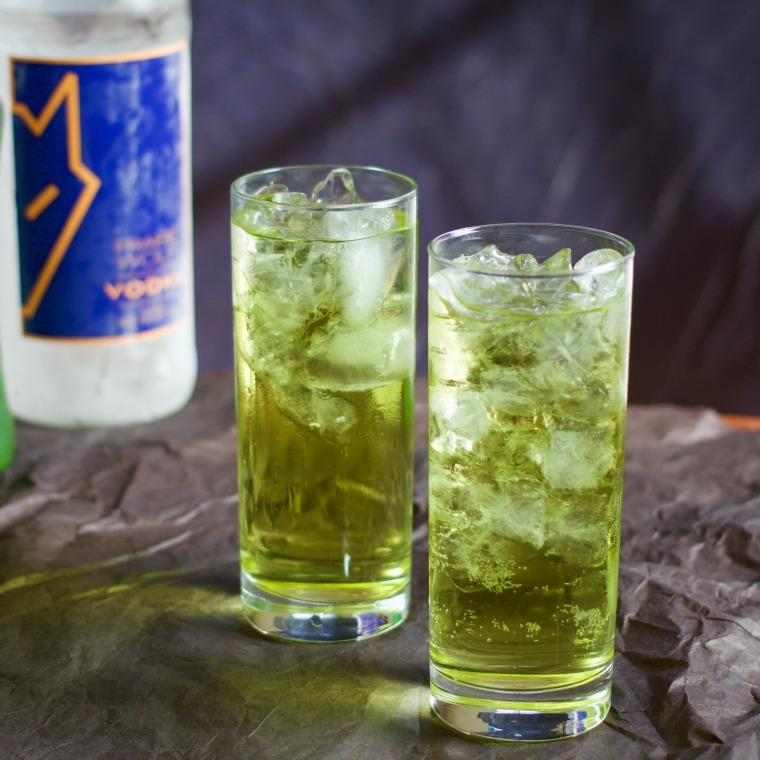 The Tokyo Sling reminds me of spring – it’s bright and a little fizzy, perfect for cooling down on a hot day, or basking in a rare bit of sun in the early springtime. I hope you will #enJOY this sweet and fruity cocktail and pray spring comes our way soon! Combine apple juice, melon liqueur, and vodka in a shaker with ice. Pour shaker into a tall glass filled with ice. Fill the rest of the glass with soda. I need this at my bridal shower. Or we can make them on Friday haha. 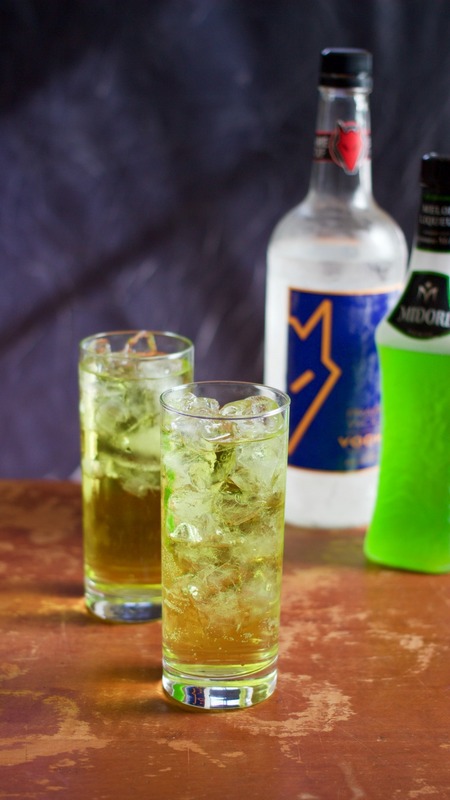 Midori is one of my favorites! I’m going to have to try this one! It sounds amazingly no! Whoops! Don’t know how the “-ly no!” got on the end of that comment. Weird typo. It’s really sweet, in a good way! Anything served in a fish bowl has to carry amazing memories. I think it’s a rule ? Love that you’re getting ready for spring! This is going to be one one of the featured cocktails at the lake this summer for sure! Can’t wait for summer. Ugh, me too – bring on the sun. Yum!! I have a ladies weekend coming up so I am definitely pinning this one to make then! Yay! Let me know what you think. 🙂 it’s fruity!